Below is an invitation to attend the London Plasmonics Forum which will be held in June at Kings College London. It should be a great meeting and of interest to members of the OSA London Local Section. We, Prof. Anatoly Zayats and Prof. Stefan Maier, would like to invite you to The London Plasmonics Forum on the 18th of June 2015. It is open to all researchers and companies and this time will run together with the final Active Plasmonics Programme grant meeting. Everyone is invited to attend and present a poster. The registration is free but please register using the link below for logistic purposes (you will also find there a tentative programme for the day). Please feel free to forward this invitation to your colleagues and students. We hope The London Plasmonics Forum will become a regular exciting event. We are looking forward to seeing you in London on 18 June. 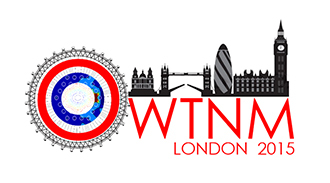 The OSA London Local Section is co-sponsoring the welcome reception on Thursday 16th April 6pm to 8pm at the Optical wave and waveguide theory and numerical modelling (OWTNM) workshop being held at City University. OSA members are encouraged to attend the welcome reception and should email Dr Arti Agrawal on arti.agrawal.1@city.ac.uk. Professor Claude Cohen-Tannoudji (Collège de France and Laboratoire Kastler Brossel), Nobel Laureate in Physics 1997 & CNRS Gold Medal winner in 1996, will give a lecture on ‘Dark States: From Quantum Optics to Ultracold Atoms and Molecules’ on Wednesday 25th March at 4pm in Lecture Theatre 1, The Blackett Laboratory at Imperial’s South Kensington Campus. This event has been organised by Dr Roland Guichard (AMOPP Group, UCL) & Dr Amelle Zair (Imperial).